If you are looking for a coat please call 211 or call 780 - 482 - 4636 (INFO) to find the distribution depot closest to you. Keep in mind that we will not be distributing coats to the distribution depots until the week of October 22, 2018. We do not distribute coats directly to the public; all coats are distributed though various community agencies throughout the Alberta Capital Region. 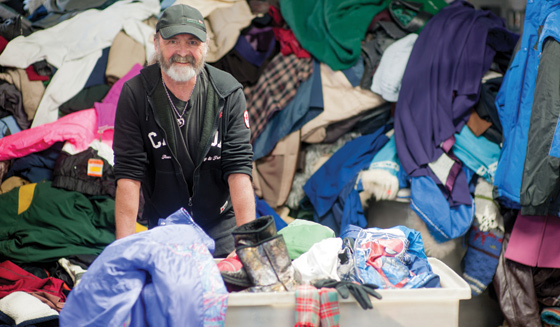 Individuals who need coats much go through a distribution depot.